After our week in London we took the train to Edinburgh where we were to meet our Trafalgar tour group for a seven day tour of Scotland. This tour was to take us from Edinburgh to Inverness and on to Glasgow. We took the opportunity to arrive two days ahead of the group to independently explore before joining the group. This proved to be a great idea, however I suggest you give yourself more than two days as we found we ran out of time to do all the things we wanted. In particular we missed out on climbing to Arthur's Seat, and have had to save it for the next trip. While we had a great time on our tour and met lots of wonderful people, you either love or hate bus touring and given the opportunity we would choose a different style next time. The unpacking and repacking every couple of days was a frustration as a family and like most organised tours, we found that we were often left with too little time to explore some places and far too much at others. I guess this is unavoidable when doing organised tours as you just cannot cater for everyone's tastes. This is probably why we love independent travelling as much as we do. The next time however we will solve the packing problem by doing a river cruise so that we can get on, unpack and not have to do it all again for quite a few days. 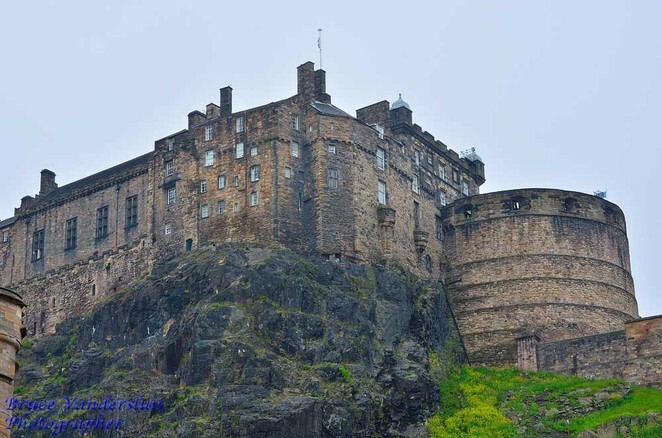 Thoughts of Edinburgh lead us to Edinburgh Castle and this was part of the organised tour. I remember being here as a child and had a great time revisiting. At the time we were there they were setting up for the Edinburgh Tattoo, however this did not impede our enjoyment in any way. I believe that if you go when this is on, tickets are included as part of your tour. While here we walked the Royal Mile and visited the Grassmarket, where there was lots to keep us entertained. Coming from Darwin, shops anywhere are entertaining and those in Edinburgh did not disappoint. In both locations we came across local markets, finding many stalls with interesting objects to purchase. 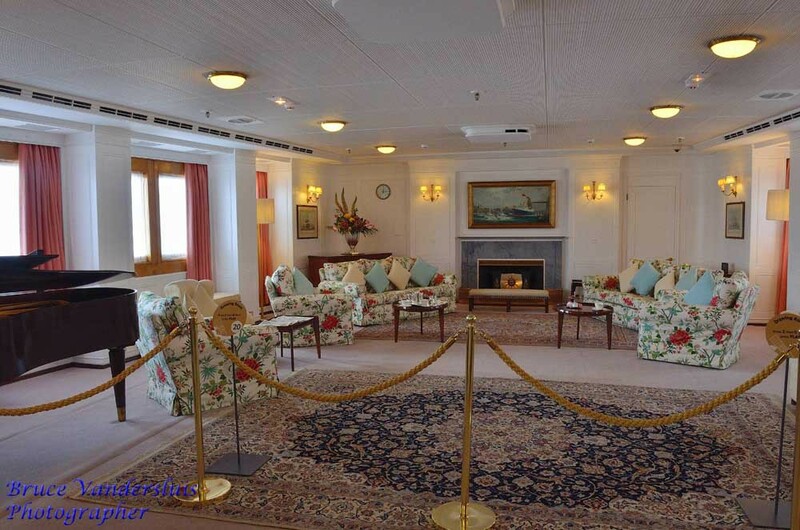 Here we also visited Her Majesty's Yacht Brittania. This was an education; having never really had a lot to do with boats I did not realise how big and comfortable a yacht could be. 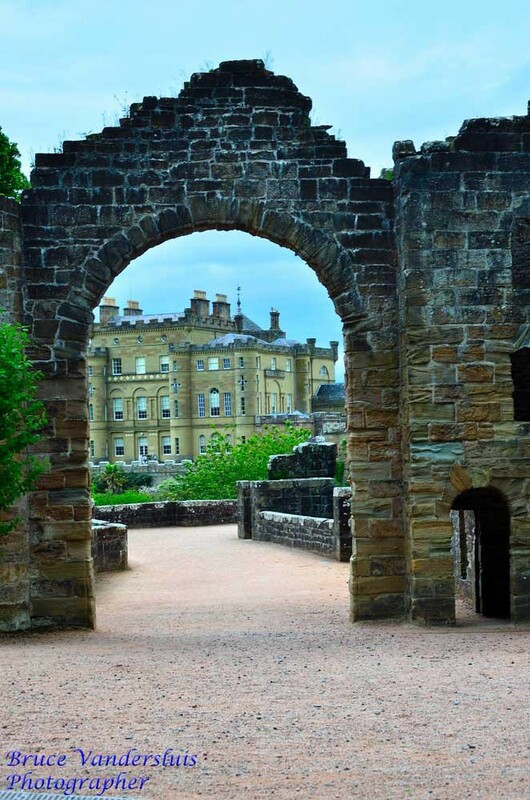 It was absolutely beautiful and there were some rare glimpses into the life of a royal; well worth a visit. 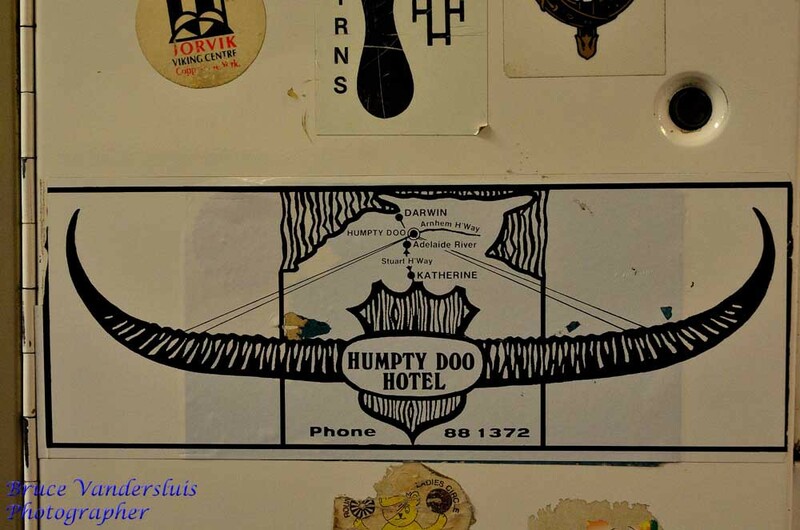 What really touched us though was a tiny glimpse of home found in the crew quarters, showing that at some point someone on the crew had been to Darwin. A pretty old sticker though; before the changeover to eight digit phone numbers. From Edinburgh we meandered towards Inverness visiting St Andrews along the way. 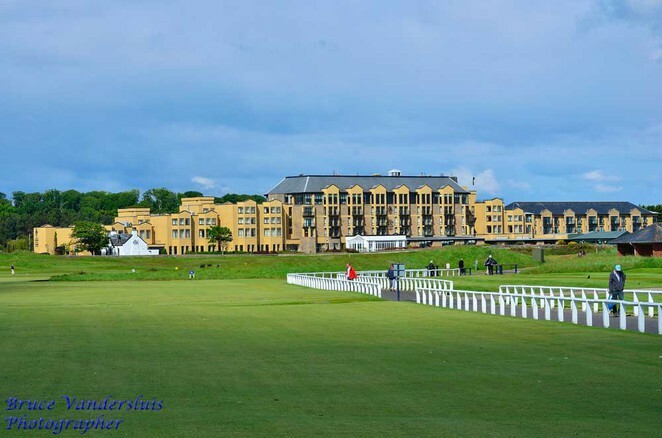 For each of us there were highlights on our tour and for my husband visiting St Andrews was his. We could do little more than wander along the paths around the course, however this sufficed for him and we will have to look at him possibly getting a game on another visit. We visited many castles and ancestral homes on this tour. 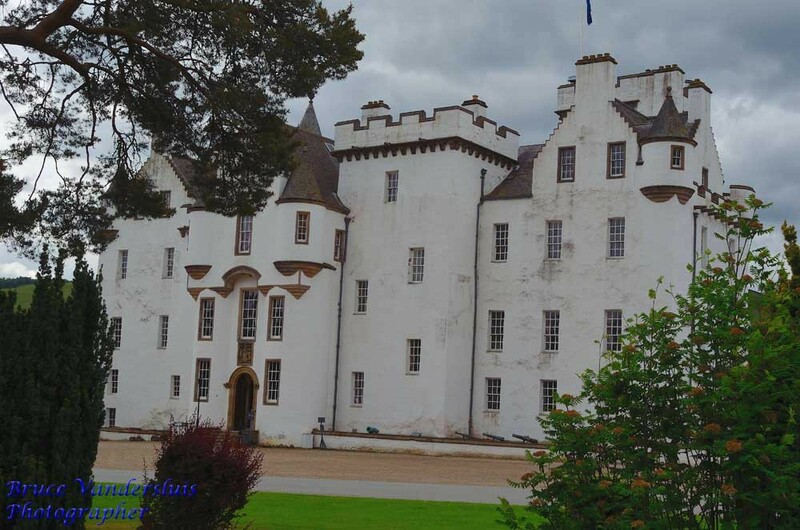 Blair Castle, Culzean Castle and Eilean Donan Castle were all as beautiful as each other, each with their own peculiarities. With a love of architecture they never fail to delight. 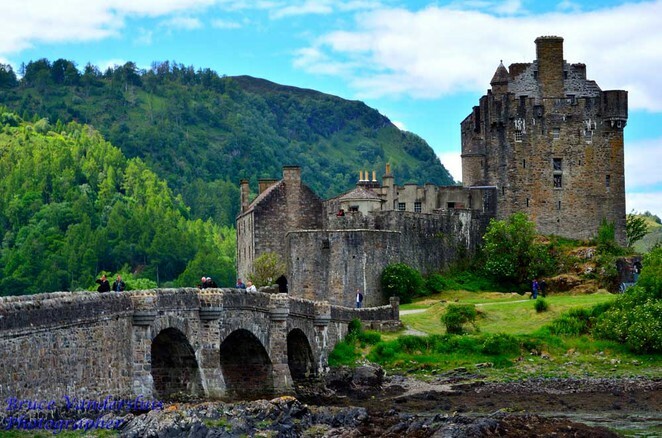 For my son though Eilean Donan was the best as this was where he got to hold an 18th century sword. With a keen interest in medieval weaponry, this was the highlight of the tour for him. Did any say Bessie? Two drives along Loch Ness did not reveal the presence of the Loch Ness Monster and neither had I seen it as a child. 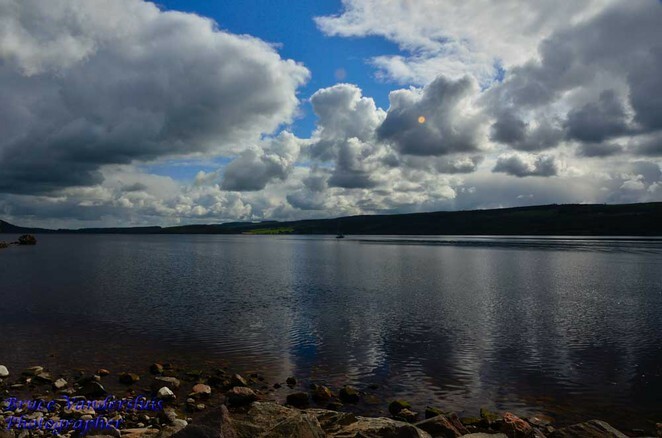 However, there is no denying that all of the water bodies throughout the United Kingdom are stunning and well worth spending time gazing out across the waters. The haunting and haunted field of Culloden was well worth the visit, best enjoyed by simply wandering along the paths reading the stones of the many that fell at this famous battle some 250 years ago. 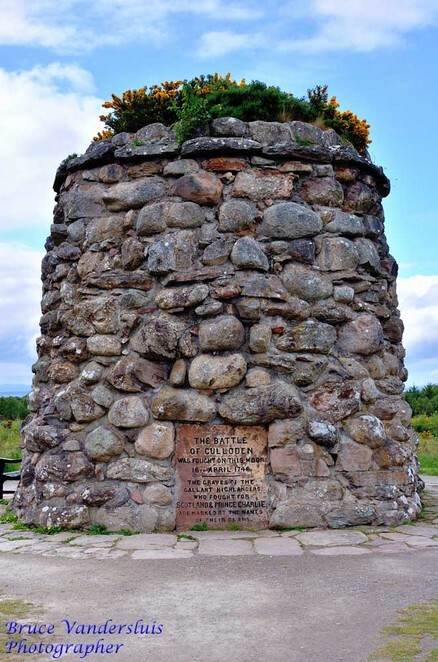 The stones bear the names of the fallen clans, not the individuals, signifying that they were fighting together for their freedom. Listening to the story of the battle, the clans were completely outnumbered and did not have the same level of weaponry but this did not destroy their heart and bravery and they fought hard for what they believed. Just like the Somme (read my article at www.weekendnotes.co.uk/somme-battlefields-france/) the experience here is humbling and so much can be learned from the story. From Inverness we travelled to Glasgow which was to be the last destination on our tour. The last place we visited was Ledard Farm and we were very glad that we did. This was our final tour dinner, and such a delight. As we got off the bus, we were piped onto the property, something that always brings me goose bumps. We toured this working farm, visiting the haunted barn and many other areas before having a wonderful dinner in McGregor's Barn. 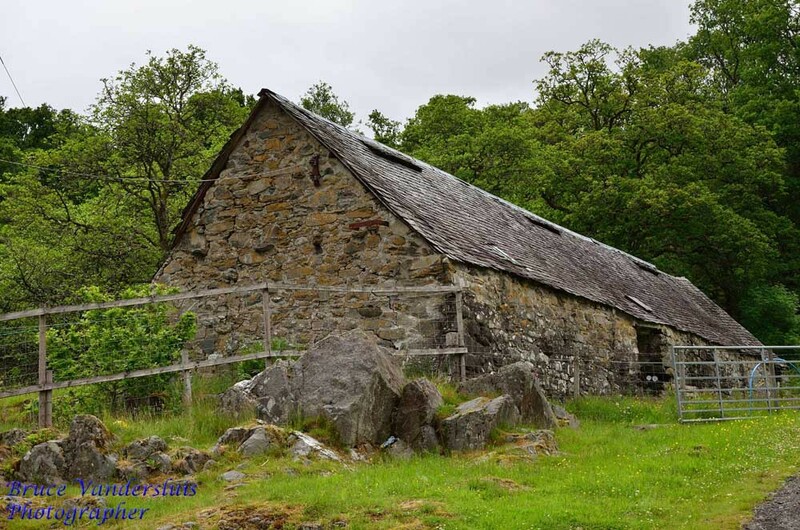 We were treated to musical accompaniment and entertainment by the family in this barn where Rob Roy addressed the masses. The benefits of doing an organised tour were that it opened doors. We had access to things and places we would not have been able to do had we been travelling independently. As a first visit this was perfect; however the next trip we will probably enjoy travelling independently and taking the time to explore much further and deeper than this trip allowed us to do.